The clock was originally bought and put in place by public subscription on the Market House in 1852. The clock has seen 157 years tick past but the town has been strangely silent since October last year when the clock collapsed breaking the winding mechanism and the hourly chimes. 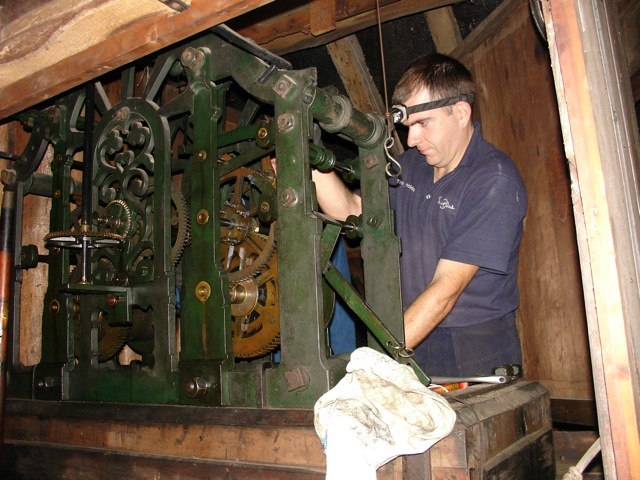 In October 2009 the clock mechanism in the Market House suffered a catastrophic collapse. This broke the clock itself and also the chimes. 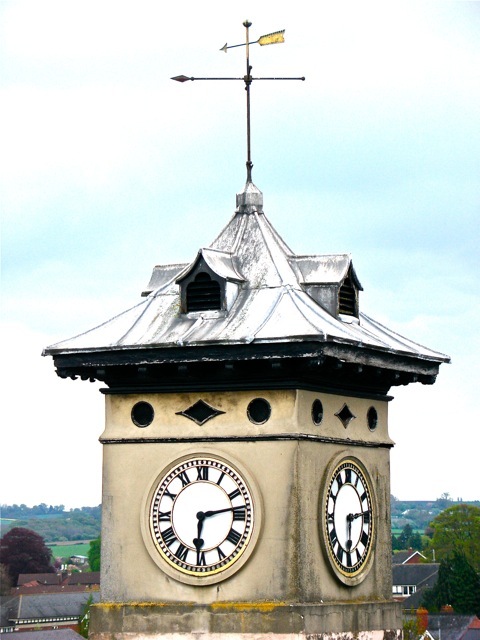 Ross Civic Society kindly donated the money for the clock to be repaired and Hereford County Council said that they would pay half of the cost to restore the chimes. 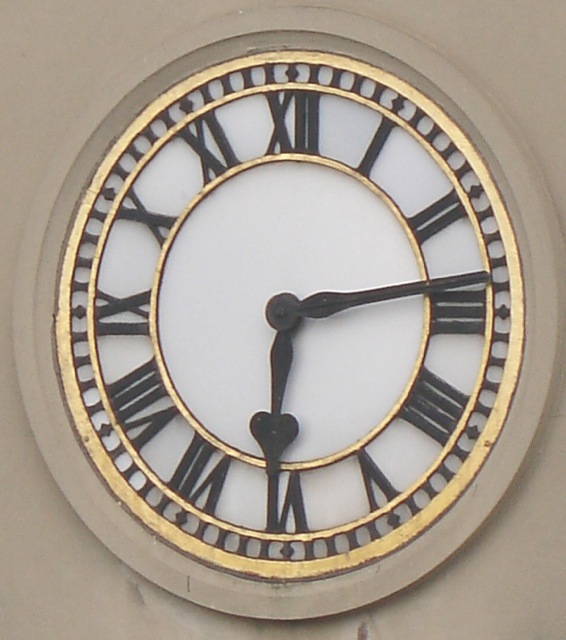 "It was noticeable how much people have missed the hourly chimes and how fond and proud of the clock and the market house the people of Ross are. Money was dropped into a number of collecting boxes round the town and many generous personal donations were given, people have been so willing to help and we would like to thank everyone for their support." 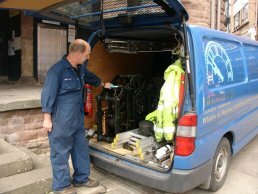 Specialist engineers from J.B. Joyce and Co. arrived to remove the broken elements from the Ross-on-Wye town clock on Tuesday 13th July 2010. The work was expected to take between three and five weeks as many of the very old parts need attention. Three thousand pounds was raised by the Association of Ross Traders thanks to many generous donations by individuals and organisations and the remaining balance was given by the Herefordshire County Council. 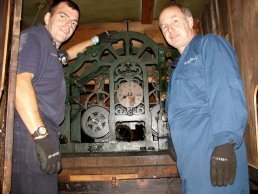 Both the clock and the chime will be back working once again after this work is completed. 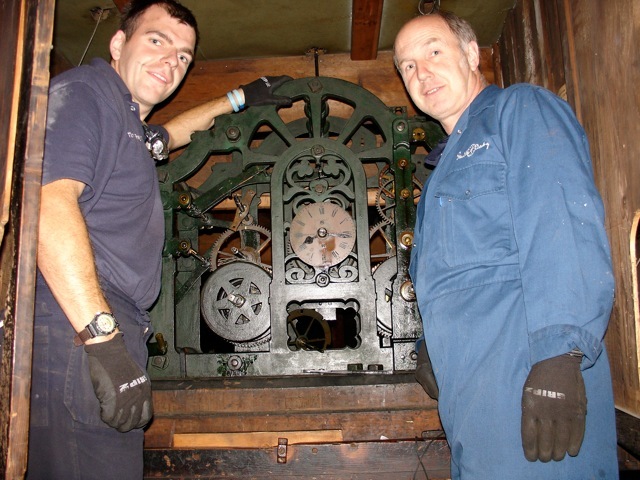 On Monday 2nd August 2010 the mechanism was returned by J.B. Joyce and Co.
Extensive repairs had been carried out and the town clock in Ross started to ring out the hours once again during that week.